Happy Super Moon in Gemini! The Winter season is upon us in the Northern Hemisphere as our Full Cold Moon transitions into the trickster sign of Gemini. This Full Moon is the harbinger of transformation and change for us as the Winter season creeps it's way into our lands and our lives. The Winter season can cause us to face our own darkness in a way that is both helpful and transformative to us if we allow it. This Full Moon is also a Super Moon! Super Moon's take place when a full moon coincides with the moon's pedigree... this is a rare event that causes the moon to be 14-15% larger during this cycle, which makes this lunar energy even more potent! The Gemini influence from both the Full moon and Mercury are going to make that trickster energy feel even more prevalent in our lives, so try to practice some patience with others and yourself. "The emotionally charged Full Moon is in the airy sign of Gemini and goes opposite the Sun in Sagittarius on the 3rd, while on the 1st, Venus entered Sagittarius.. igniting many aspects of communication within our relationships and how we express ourselves to others..."
Mercury is going retrograde today in the sign of Sagittarius; the Explorer, so try to look at things in a new way during this time. Answers can be revealed to you when you look outside the box and realize that anything is possible, and Sagittarius is certainly one of the most creative and open-minded of the zodiac. There is nothing to be afraid of during a Mercury Retrograde. Keep an open mind. Allow this time to show you what is no longer working in your life, and begin to rebuild in the most innovative way you can find! 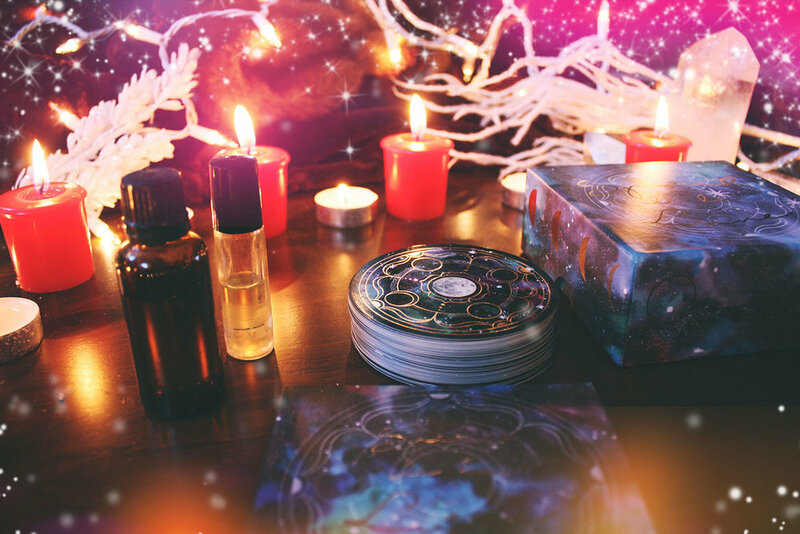 The skies are offering us very potent energy.. we are working with the explosive energy of Air and Fire right now.. so it's important to set some solid intentions for the season ahead! In tonight's Full Moon Ceremony, we are getting in touch with our inner kitchen and creating Witches Baubles for the Yule Season! 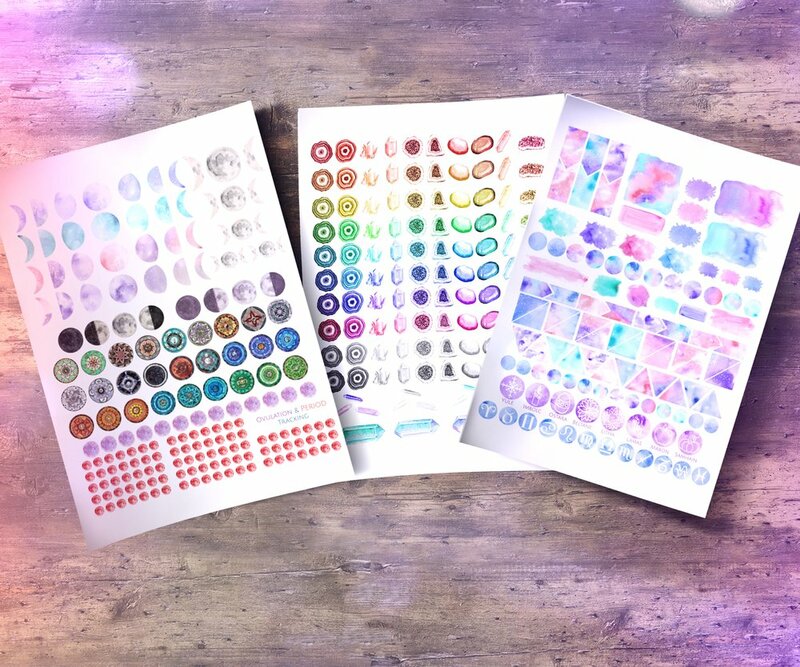 If you join the Sistarhood we will send you the Moonthly Tune to the Moon Printable Planners each monthly cycle! You will also have a spot in our private community of healers, mystics, artists, and dreamers! Tonight we are honoring both the Full Cold Moon and Mercury Retrograde by capturing and encapsulating our intentions for the season ahead. These are similar to Witches Bottles, but can be hung on your Yule Tree! Our first idea was to create an herb bundle that could be either buried in a bottle or burned in a fire, but the idea of hanging it on a yule tree seemed extra magickal for the season. You can choose to do whatever you'd like with your witches bauble/bottle. However you choose to set your intention is up to you. Whatever you choose to do, we would love to see it on instagram! Be sure to tag us so we can see it! Sometimes putting our goal where we can see it daily can help remind us of our intentions. This Full Moon ceremony is a perfect way to solidify and set your intention while putting it somewhere where you can look at it at each passing. We are using herbs that are both in season for the holidays, supportive of the mercury retrograde, can be found at your local grocery store, and have plenty of magical uses! 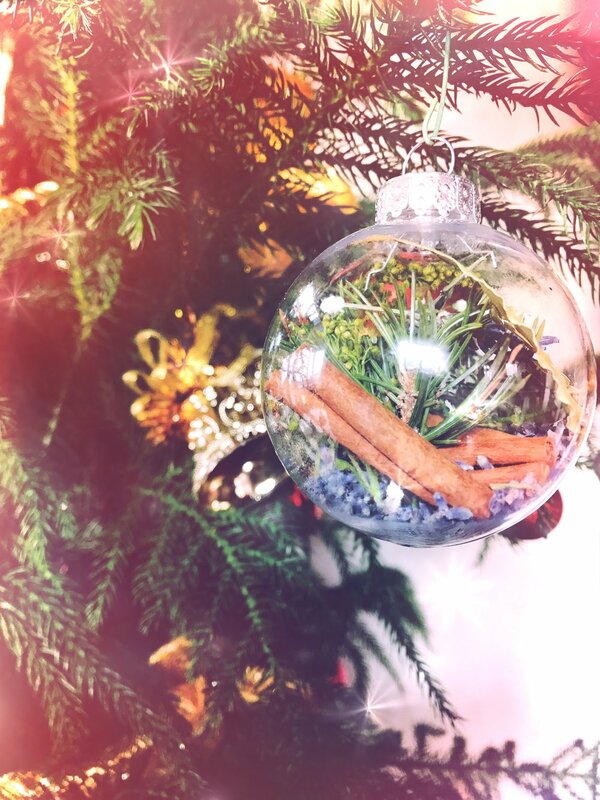 For this bauble we used Aster, Pine, Lavender, Apple, Gypsum Baby's Breath, Cinnamon, Bay, and Garnet. 1. Begin with an intention for the cycle ahead. You can use last year's "Word of the Year Ritual" for inspiration, or come up with your own solid goal. Write this on either a (small) bay leaf, or a small piece of paper. 2, Place some smaller dried herbs and small crystals into the bottom of the ornament. 3. Put the intention into the ornament. 4. Put your dried herbs and flowers into the ornament. 5. Put ornament cap back on. Charge your Witches Bauble under tonight's Full Moon while hanging on your Yule Tree, or put it outside under the Full Moon with your deck and a crystal grid, then hang on your tree for the Winter Season. As you pass your ornament each day, remember your goal and intention. Send yourself love and energy as you strive to accomplishment your goals each day. Remember it's the small daily steps that lead to miracles ahead. Again, we would love to see your bauble/ornament! Tag us on facebook or instagram so we can see and feature your photos! Have a wonderful holiday season! Don't forget to check back in for the New Moon Reading on the 17th, and for the Moon Sistarhood Circle Opening on the 18th! This Full Moon in Gemini is a quiet time of inner reflection and hibernation. Our instincts are sharpening, and our inner knowing may feel louder than ever. 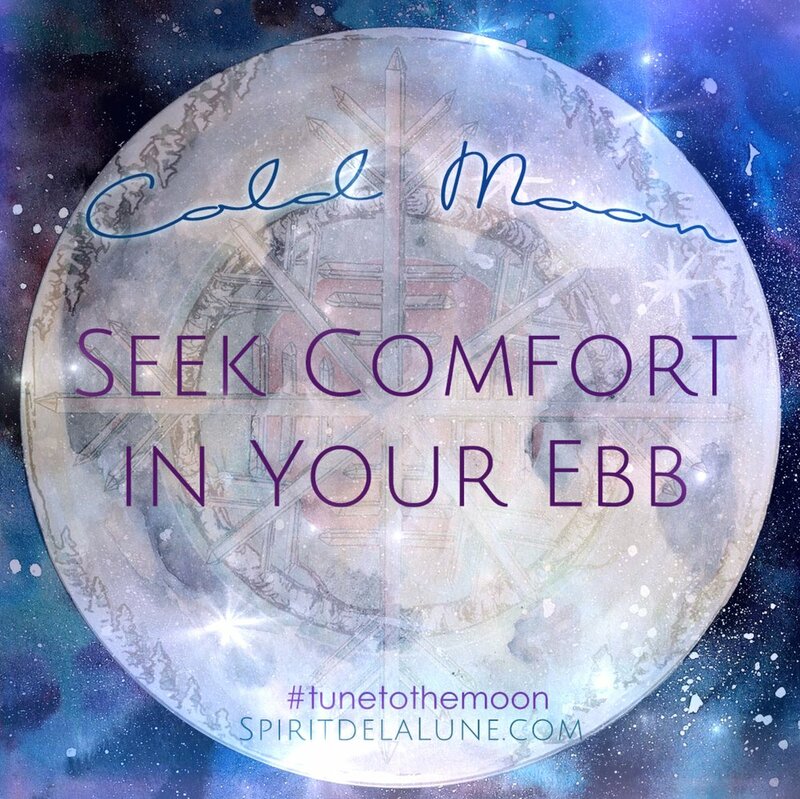 The Full Cold Moon is the perfect to ponder and envision our seeds and intentions for the year to come. The Winter season is well on it's way for us in the Northern Hemisphere. A blanket of snow keeps the earth still, protecting the new life that will soon grow. Now is not the season of growth, but the season of death, reflection and ebb. Like the moon, the Earth has her ebbs and flows. Our minds and bodies want to honor these cycles. We sometimes find ourselves experiencing discomfort and stress when we don't take time to honor these cycles. This Full Moon signifies that we are soon approaching Yule, another turning point in the Wheel of the Year. In fact, the word Yule means Wheel. We are at the beginning of the wheel once again. This Winter season aids us in our own natural process of rebirth by giving us the opportunity to reflect, and nourish the new seeds and intentions for the coming year. It's always been very popular to make resolutions and choose goals to help us improve in the coming New Year. A new and current tradition we love has been choosing a "Word of the Year." A word of the year allows you to choose something that is a guide or inspiration, a reminder rather than a rigid goal. A Word of the Year acts as an anchor that can bring you back to your center and core goals. After struggling for a bit to come up with a word of our own, we thought it would be perfect to use this Full Moon in Gemini as well as our intuition and divination tools to help us come up with one. 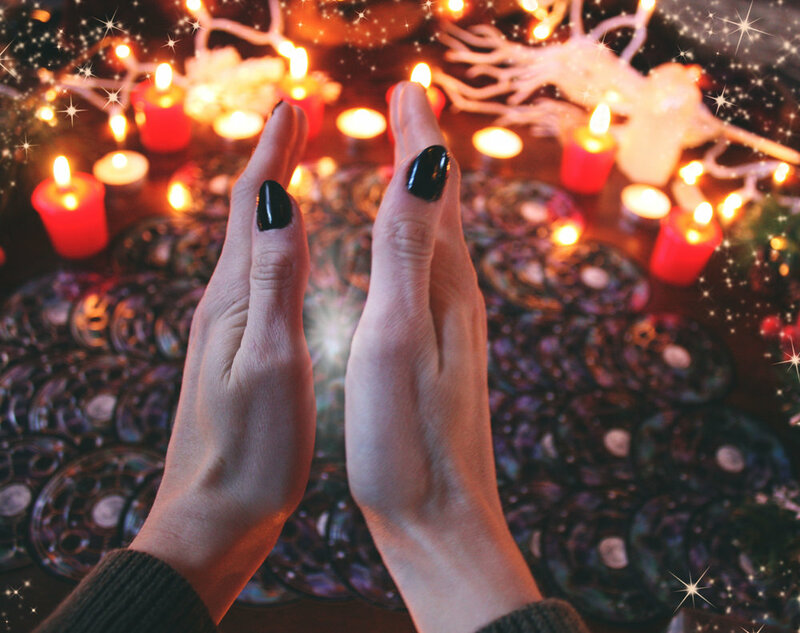 Even if you've already chosen a word for this year, This Moon Ceremony can help sharpen your intuition and assist in opening and activating the hand charkas. When drawing a card, you may feel very drawn to the word on the card that you chose, or you may find that particular card inspires another word for you. It's important to be in tune with your intuition! This simple but powerful ceremony combines the moon's reflective energies with our own innate intuitive powers. We each have"bud" chakras on the palms of our hands. These chakras can be opened and closed at will to aid in divination, healing, and directing energy. The colors of this chakra vary from white to silver, to goldish white. Peppermint oil, Ceder wood oil, bay, or any oil blend used for activation and awakening. Begin by washing your hands with water. Natural water always works best, but it's alright to use tap water. As you wash your hands visualize golden light pouring and cleansing your hands. Gather water into the palms of your hands, scrub your hands in small circles, paying your palms special attention. When your hands are clean dry, light your candles in a clockwise direction and prepare yourself as you would for a reading. Dim some lights and turn on your favorite music. Prepare your cards the way you would for a reading. You can shuffle the cards any way you'd like, do what feels natural to you. While you shuffle try to put some intention into the new year. How do you want this year to unfold? What do you want to bring into manifestation? Lay all of the cards out in front of you so you can see every card. You can choose to have the cards facing you, or you can keep them face down. Next take your oil and add a drop or two to your hand charkas. Be careful to not use too much, as it could damage cards. Take some big deep breaths and rub the oil into your hands quickly to generate heat and activate the chakras. As your palms warm up, image a golden white flower in the palms of your hands open and bloom. After generating some heat in your hands, envision an energy ball form between your palms. Allow it to grow bigger and smaller with your hands. Shape it, stretch it, and feel it. If needed you can rub your palms together again to create more heat. Soon you should be able to have a sense that these chakras are active. Some say when active, their palms feel itchy, warm, or tingly. With practice you may begin to feel these chakras open more on their own. Everyone experiences the sensation differently. One you feel your hand chakras are open, place your dominant hand over the cards, palm facing down as if feeling a warm fire. What sensation does your hand have as you move your hand over the cards? It may be pulled or pushed. Are some cards warmer than others? Guide your hand over the cards and see what energy readings your hands give you. You may feel warmth, or a pull downward on a card that wants to be looked at. You may be drawn to several cards. Narrow it down further it you'd like. You can keep the cards face up if you'd like, or try it out with the backs of the cards. This is how many readers choose cards, and often how we choose the Moonday Oracle for Instagram. Narrow it down to as many cards as you'd like, and then make your final decision. You could even choose to focus on more than one word! This final card doesn't have to be the word that you choose. It can instead inspire you, or spark something within you to come up with another word. Check out the guidebook, read up on the card that you drew for yourself. See if anything sparks or inspires you! You can place your card, (or get an art print made with your Word of the Year) on your Winter Altar to reflect upon during this season. Add some quartz crystals and other clear and white stones to help bring clarity and power to your intention. While your hand chakras are open and active, pour some golden light onto your altar before blowing our your candles. To close your hand chakras, simply wash your hands and allow the water to pour and cleanse over your chakras, visualizing a flower in each palm closing up. Happy Full Moon! Don't forget to charge your deck and crystals under tonight's Full Moon! We can't believe we are already half way through December! We can no longer guarantee holiday delivery for international orders! Our cut off for US orders is this Friday December 16th in order to make it in time for the holiday season. We hope you have a Happy Full Moon and a wonderful holiday season! We would love to see your Word of the Year! Please tag us in any images so that we can see and share your ceremony as well!